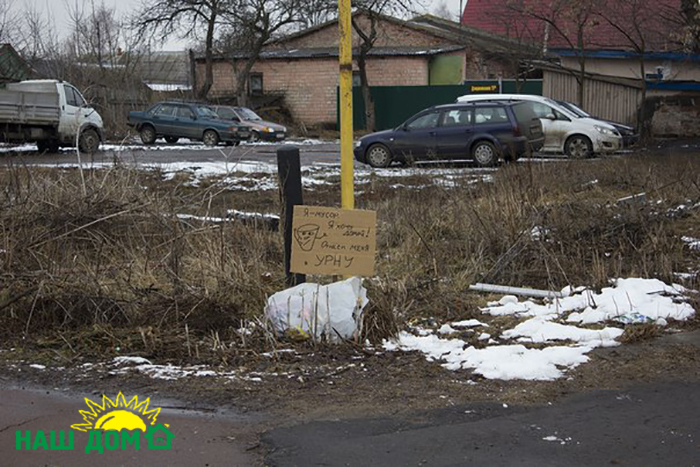 The sun became warm up in Gomel, and snow goes down under the spring rays. There is appearing bald spots from last year’s greenery and litter, which snow so carefully covered all winter. 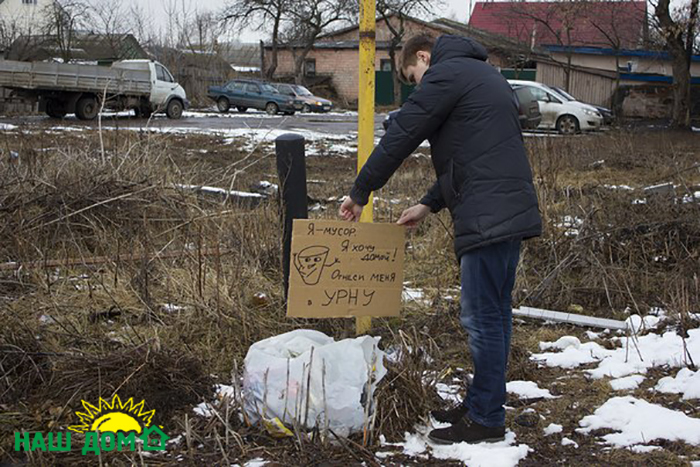 Spring gift can`t make joy for Gomel`s residents, so a volunteer of «Our House» Dima has established symbolic boards on the field of garbage. Litter also wants to go home, especially if this rubbish is in the wrong place for a whole winter. Editorial comment: the civil campaign «Our House» is always happy to work with new volunteers. Coordinator of city`s groups and the editorial staff have many creative ideas that we are willing to share with future volunteers to organize flash mobs in different cities.